What happens if you put motivated people with completely different backgrounds together? You soon feel a click. Anneliese Monden and Chantal Smedts are proof that unexpected combinations lead to great results. Together, they started Qlick in 2007, offering recognised coaching, personal development and training courses with a fresh perspective. People grow when they have the right context in which to do so: an open atmosphere where borders and judgements fall away and creativity has free play. Qlick creates this context in a green, inspiring location and with a fresh, ground-breaking style. Authentic. Everyone has potential, and Qlick respects and admires this. Through authentic self-presentation, Chantal and Anneliese invite this same openness in others. Because anyone who presents their true self, is beautiful. Supported. Chantal and Anneliese are ICF certified coaches each bringing their own experience to the recognised coaching, personal development and training courses the company runs. Using their knowledge and experience, they build innovation into their business—and yours. Scroll down to see their officially recognised coaching accreditations and qualifications. Refreshing. 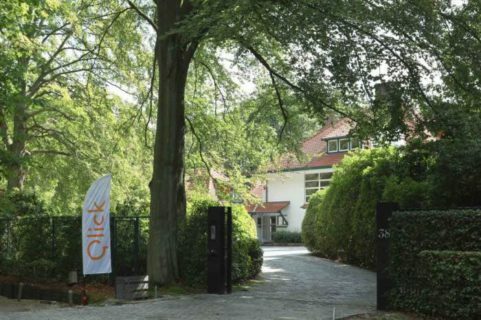 Qlick chooses curiosity, colour, humour and creativity. Dare to choose new paths and you’ll arrive at unexpected places. Qlick wants to awaken this in everyone who is open to it. Anneliese and Chantal surrounded themselves with a team of enthusiastic and professional trainers and coaches. Anneliese brings out the best in people. She does this with empathy, patience and persistence, without brushing aside the difficulties. Her personal approach transcends cultural differences to go straight to the core of any issue. From her legal background and experience with multinationals, she knows how difficult it is to be a leader who integrates knowledge with authenticity. Anneliese worked for several years for General Electric. She leads a colourful, international personal life. As a result, she has a worldly perspective that she is happy to incorporate in the personal development, coaching and training courses she offers. 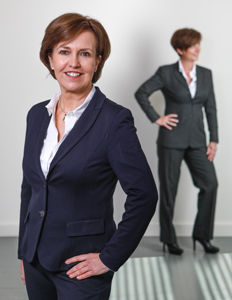 Along with Chantal, Anneliese was one of the pioneers of the concept of 3D Leadership. It is just one example of the inventive, innovative way in which she thinks about coaching. Chantal is a powerful woman who has a passionate take on life and is always happy to tackle a new challenge. She has the unique gift of responding perfectly to the wide range of human emotions. In her coaching and training courses, she begins with her own authenticity. Her approach is active, creative and result-oriented. The balance between the internal and the external is always essential for her. A business woman at heart, she is always looking to create new formulas for success. She has proven this on many occasions in the business world, having established a number of successful companies. Her big heart is clear in her commitment to various charities. Working with Anneliese, Chantal constantly breathes new life into the world of coaching and training. Anneliese Monden and Chantal Smedts are both certified coaches by the International Coach Federation. Corporate social responsibility: for Qlick, these are not hollow words, but a call to actively contribute to a better world. For people, the environment and society as a whole. We believe these good causes are more than worth the effort.